Amsterdam, August 7, 2018. The Travelife Partner award was received on August 07,2018 by Nepal Sanctuary Treks. 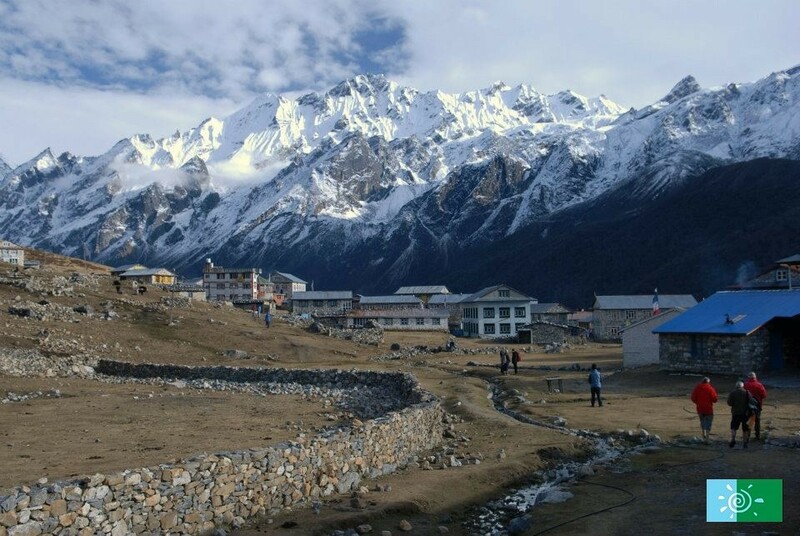 The award is a recognition for the long-term efforts and frontrunner position of Nepal Sanctuary Treks regarding sustainability and Corporate Social Responsibility. Nepal Sanctuary Treks complies with more than 100 criteria, related to an operators’ office management, product range, international business partners and customer information. The Travelife standard is covering the ISO 26000 Corporate Social Responsibility themes, including environment, biodiversity, human rights and labour relations; and is formally recognized as in full compliance with the UN-supported Global Sustainable Tourism Criteria. 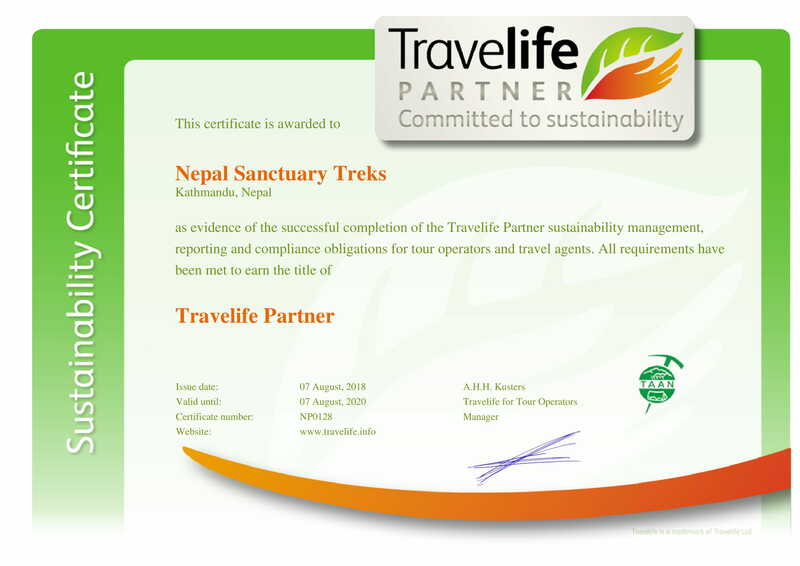 Nepal Sanctuary Treks is the 21st company in Nepal to have reached the Travelife Partner award. 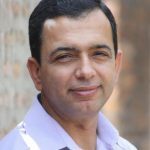 Mr. Naut Kusters, manager of Travelife for tour operators, “I am delighted to see that sustainability in the tour operators sector is obtaining momentum. The award of the front-runner Nepal Sanctuary Treks will inspire other companies in Nepal to follow the same path”. Travelife, which has been established with the support of the European Commission, is the leading international sustainability certification for the travel sector. More than 35 national travel associations are promoting the scheme to their members including ABTA, The British Travel Association and PATA, the Pacific Asian Travel Association. Since 2012, more than 600 Asian companies have been trained in CSR with the support of the Dutch government CBI program. They are now working step-by-step towards more sustainable operations. Travelife for Tour operators and Travel agents: the system provides online training and practical tools for sustainability management and certification. The training and online tools are suitable for tour operators and travel agencies of any size and cover all management aspects of the travel company business including office operations, the supply chain, destinations, and consumers. Upon submitting a report in compliance with the Travelife standard (based on an independent onsite audit), the company can obtain the “Travelife Certified” status.